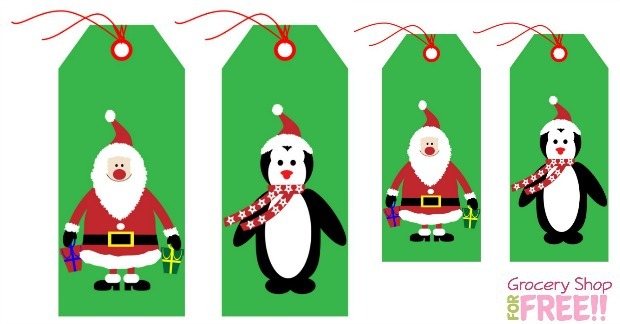 How To Make Your Own Holiday Tags For FREE! You are here: Home / FREEbies / How To Make Your Own Holiday Tags For FREE! It’s hard not to love Christmas season, as there is something really magical not just in the holiday itself but in the days and weeks that precede it. The smell of mulled wine and cinnamon, captivating tree lights and store window decorations are all calling you to embrace the Christmas spirit. After a year of hard work, it is finally the time to loosen up your belt in every sense of the word. This usually involves spending money on Christmas gifts, decorations, enjoying delicious food and other winter treats. Although the occasion completely justifies indulging oneself and others, the post-Christmas period however could often be marked with the feeling of guilt for allowing yourself to “break the bank” and binge. In order to avoid this feeling of sweet remorse, it is best to plan Christmas celebrations in advance. Putting on paper all the required elements and props is a great way to start. Staying on budget is easy if you search for the best purchase deals, especially when it comes to Christmas decorations and gifts. For example, if you are looking for a unique yet affordable way to decorate your home and surprise your family and friends with personalized Christmas cards, you should try Labeley – a FREE online sticker maker that can help you create lovely looking holiday stickers and gift tags. 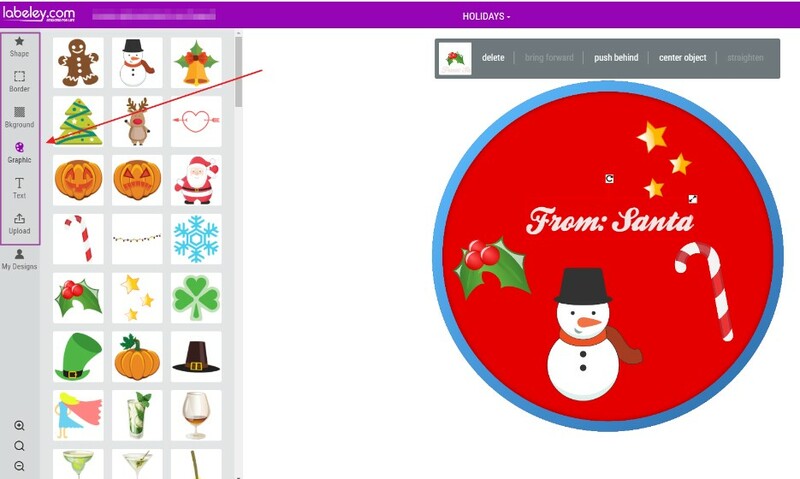 The tool is quite simple to use so you can also engage your kids and other family members and make it a group project in Christmas sticker designing. Start designing by choosing the holidays category and then select one of the shapes depending on the purpose or occasion. Some work better for name tags, others are more appropriate for applying onto plates, beverage bottles or gift boxes, and so on. Now you can work on the holiday magic with the help of many beautiful Christmas graphic elements such as reindeer, gingerbread man, Santa Claus, snowman, etc. Don’t forget to add a nice note, background color or a border element to make your sticker stand out even more. Once you’re done with your tag design, make sure to save it and right-click on it so you can download it and easily print. In case you have more time and you wish to continue tweaking your sticker design it is best to quickly create an account so you can store your work and easily pick up where you left off. 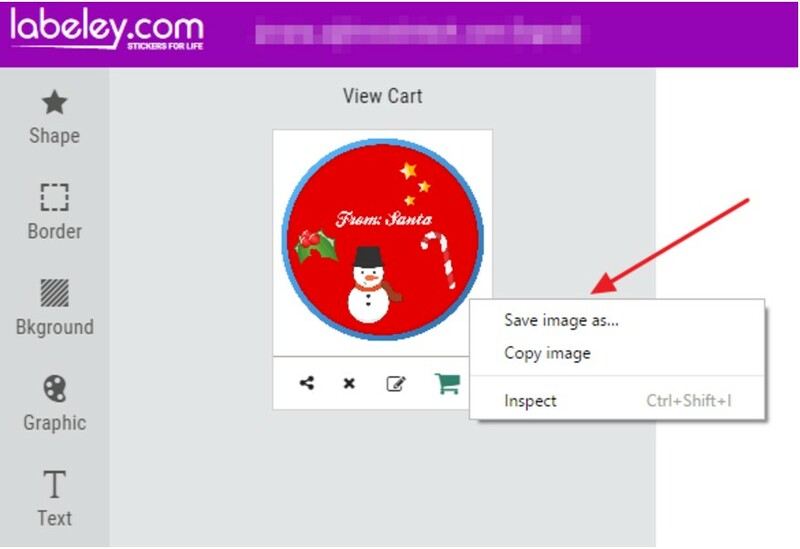 Don’t forget to check out the upload image option where you can add your own images and family photos to further personalize your Christmas celebration stickers. Go ahead and check it out today. If Labeley turns out to be a handy app in this year’s Christmas planning, you will get a long-time resource for many other holidays as well. Have fun and happy decorating!